Global Youth Service Day (GYSD) is the largest service event in the world and the only one that celebrates the contributions that children and youth make 365 days of the year. 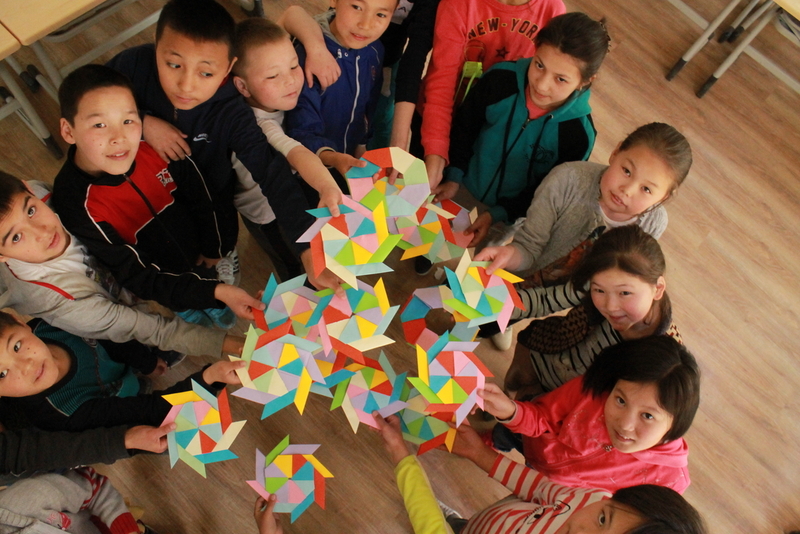 Two years in a row, FLEX Alumni in Kyrgyzstan have greatly contributed to Kyrgyzstan being named the country with the highest number of GYSD projects outside of United States. 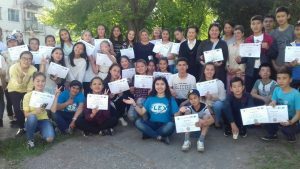 This year, American Councils, with the financial support from the U.S. Department of State, funded 24 FLEX Alumni GYSD Matching grants in Kyrgyzstan. 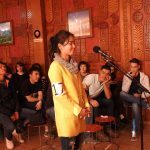 Below are descriptions of projects from Kyrgyzstan that focused on FLEX alumni engaging and educating youth in their communities. 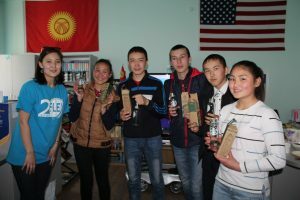 Seven teams of FLEX alumni in Kyrgyzstan focused their work on providing educational opportunities to local at-risk youth and underprivileged communities in celebration of Global Youth Service Day. Sabina and Zhyldyz Omursakova ’14 along with three English professors from the International University of Central Asia (IUCA), organized a spelling bee for 40 university students to develop their English language skills. The IUCA event was such a success that its student council decided to continue the successful initiative once a semester for the upcoming academic year. After the success of this first event, Sabina and students from IUCA organized a second spelling bee competition “Spelling Bee All-Star Meeting”. 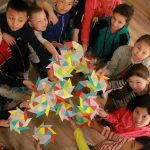 Meerim worked with staff at Boarding School #71 to organize an educational project for 36 elementary school-aged students to promote reading and develop the children’s imagination and fantasy by providing classes in origami and drawing. Participants met with the famous Kyrgyz children writer Burul Asakeeva, who encouraged them to dive into the world of creative writing and shared some of his work. Meerim plans to continue collaboration with the orphanage and wants to include sport activities in future curriculum to promote healthy lifestyle. Aidai, with help from Gulnura Zholdoshbekova ’16 and six volunteers from the American Corner, organized an intellectual game “Brain Battle” for 20 high school students. Participants received a list of 20 successful Kyrgyzstan and International brands two weeks prior the game and worked with organizers to research the brands online. Participants also took part in presentation and debate trainings led by FLEX alumni. During the “Brain Battle,” students presented the 20 organizations and answered questions about their style, success, and ratings. While the winning teams received small awards for their work, all participants learned research, presentation, and critical thinking skills. Meerim also shared information about the FLEX program with participants and encouraged them to apply. Nurai and her fellow FLEX alumni organized a book presentation about a famous Russian Geographer N.M. Przhevalsky, who contributed in studying Central Asian flora and fauna, geography and local culture. FLEX alumni volunteered at the museum in the honor of N.M. Przhevalsky and translated museum scripts from Kyrgyz and Russian language into English. During the event the alumnae organizers also held an open house at the museum and 30 young people visited the museum and learned more about the work of Przhevalsky. Following the open house, participants distributed informational cards about the museum to various tourist sites to include museum visitorship. Volunteers plan to hold a cleanup of the museum garden and territory in summer. 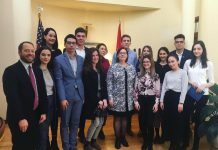 Kamila and her team of four FLEX alumnae organized the project “Youth for Peace in Kyrgyzstan” to break stereotypes regarding minority religions in the country. 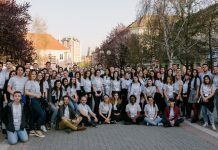 The goal of the project was to help the 20 student participants to overcome religious stereotypes, recognize the strength in diversity, develop friendships with people of different religions, and experience a feeling of mutual respect and cooperation. Following the outline of the Better Understanding for a Better World workshop, of which Kamila was a participant, the students visited three houses of workshop and learned about the religions in separate presentations and also played tennis together. Participants were hosted by the International AlaToo University in Bishkek. Liia and Aigerim Mamadzhanova ’13 organized a city tour for 34 underprivileged children in Bishkek, Kyrgyzstan. Partnering with a local bus company and a tour guide who arranged an informational tour of Bishkek, the alumni prompted questions that the children had to answer, so that they would learn more about their city and Kyrgyz history. Liia and Aigerim are planning to organize similar activities with different groups of at-risk children in June, to help them develop a pride for and a love of their city and country. 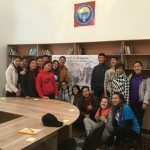 Meerim with the help of four team members and Peace Corps volunteers held English lessons to promote language skills, volunteering, and financial literacy for 44 youth in Kochkor-Ata, a regional area in Kyrgyzstan. Speaker Asel Misirova, founder of Youth Center of Peace in Kochkor-Ata, gave a motivational speech to encourage the participants to become active in their community. 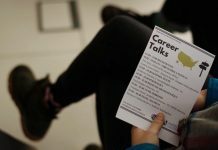 Organizers shared information about U.S. culture, FLEX program, and other interesting opportunities with participants. 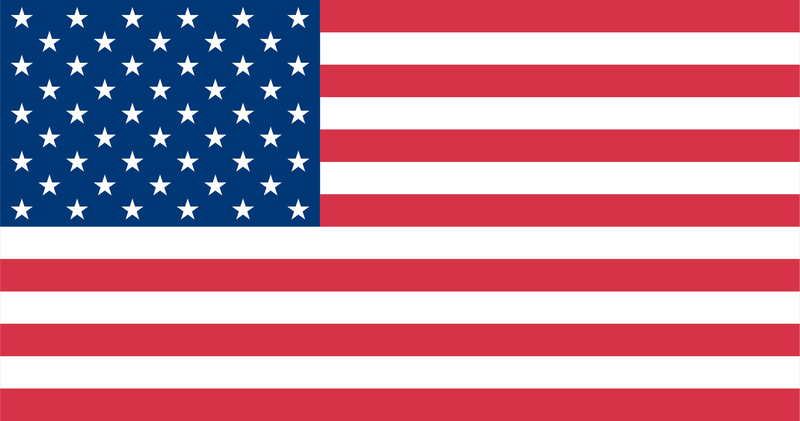 During this English-only event, participants developed their language skills and learned a lot about U.S. culture, as they learned skills to help become well-rounded, active members of their community.